Most politicians revel in making news and being a hot topic of discussion, but Justice Minister Rauff Hakeem would not have relished the publicity he earned a few days ago when it was revealed that President Mahinda Rajapaksa berated him at last week’s Cabinet meeting. 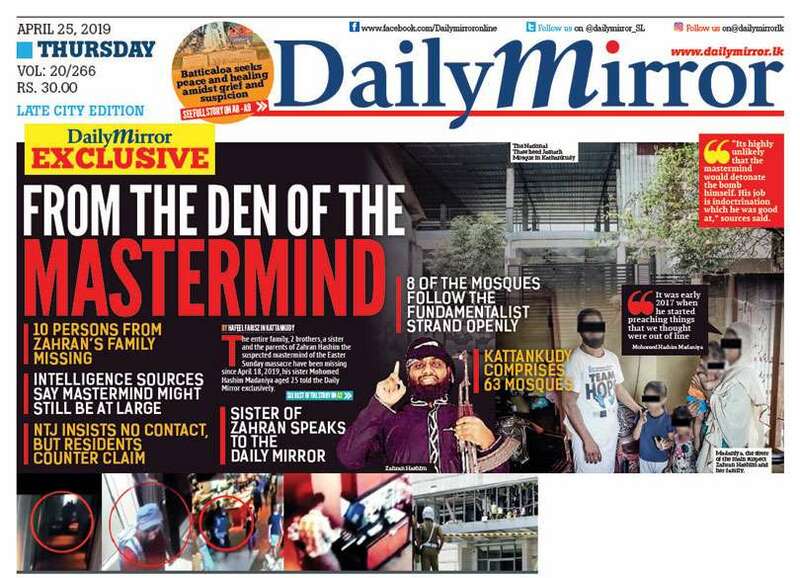 Hakeem was censured because some of his ministerial colleagues claimed that the Sri Lanka Muslim Congress (SLMC) had provided information regarding attacks on mosques to United Nations High Commissioner for Human Rights Navaneethan Pillay when she visited Sri Lanka in August 2013. It has now come to light that Pillay is using this information to bolster the case against Sri Lanka at the ongoing sessions of the United Nations Human Rights Council in Geneva where a United States sponsored resolution against the country will be put to a vote later this month. Hakeem apparently defended himself saying he did not provide information to Pillay but he reportedly acknowledged that he could not control what each and every party official of the SLMC did. Hakeem was told by the President that he should decide whether he wanted to remain in the government, reports said. For Abdul Rauff Hibathul Hakeem, such controversies are nothing new. They have been part and parcel of the political life of the fifty- three-year-old charismatic politician. His career as a legislator has seen many ups and downs but seldom has he been out of the limelight for long. Even after last week’s outburst, Hakeem was measured in his response. He admitted that he had a “frank exchange of views” with the President but said no more. It was an indication of his political maturity-and his instincts for survival. Although born in Nawalapitiya, the young Hakeem studied at Royal College Colombo. There, he excelled in oratory, winning the coveted Sir Ponnambalam Ramanathan medal offered to the best speaker of English. The young Hakeem’s topic was ‘The introduction of the Presidential system to Sri Lanka’! After graduating with a Master’s degree in Law, Hakeem took to politics and was for many years the protégé of the M.H.M. Ashroff who founded the SLMC in 1981, after failing in his earlier political venture, the Muslim United Liberation Front. 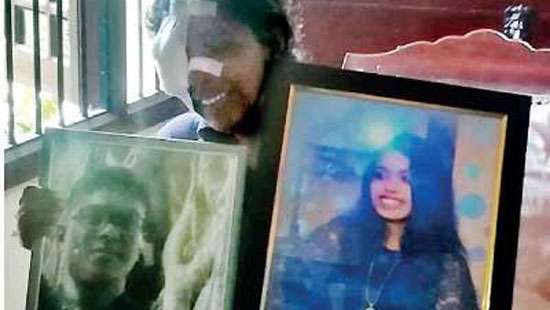 Ashroff was Minister of Ports Development, Rehabilitation and Reconstruction in the government of President Chandrika Kumaratunga when he was killed in a helicopter crash on September 16, 2000. His death led to a power struggle within the SLMC. It would be the first of many for Hakeem. Ashroff’s widow, Ferial Ashroff was promoted as his successor by a faction of the party. Hakeem had the backing of the majority though and was retained as leader of the SLMC. Ms. Ashroff formed a breakaway faction, the National Unity Alliance which continued its support to Kumaratunga. By the time general elections were held in 2001, Hakeem and his SLMC shifted allegiance to the United National Front (UNF) led by the United National Party (UNP) and Hakeem was appointed Minister of Port Development and Shipping by Prime Minister Ranil Wickremesinghe. Hakeem was a key player in negotiations with the Liberation Tigers of Tamil Eelam (LTTE) that led to the ill-fated Ceasefire Agreement and was one of only a handful of ministers who had met LTTE leader Velupillai Prabhakaran. Hakeem remained loyal to the UNP for many years and maintains an excellent rapport with Wickremesinghe to this day. He sat in the opposition benches after the 2004 general elections and supported Wickremesinghe’s candidature at the 2005 presidential elections. The nationalist fervour of the United People's Freedom Alliance (UPFA), having within it parties such as the Jathika Hela Urumaya and the Jathika Nidahas Peramuna meant that Hakeem was always shy of supporting its cause. In 2010, Hakeem endorsed Sarath Fonseka’s candidacy at the presidential polls. Even though he may have known it was a losing cause, Hakeem and the SLMC contested the general elections that followed in April 2010 under the UNF banner, again being relegated to the opposition. That was to soon lead to the toughest challenge Hakeem had to encounter as a politician. In September 2010, President Mahinda Rajapaksa sought to have the 18th Amendment to the Constitution approved. Seeking a two-thirds majority in Parliament, he sought Hakeem’s support. It is well known that Hakeem was reluctantly coerced into joining the government. Since then Hakeem has emerged as a team player and has been entrusted with the portfolio of Justice. Although maintaining a low profile in this key Ministry, Hakeem has by and large taken care to court consensus rather than controversy with the UPFA while at the same time keeping his party faithfuls happy. 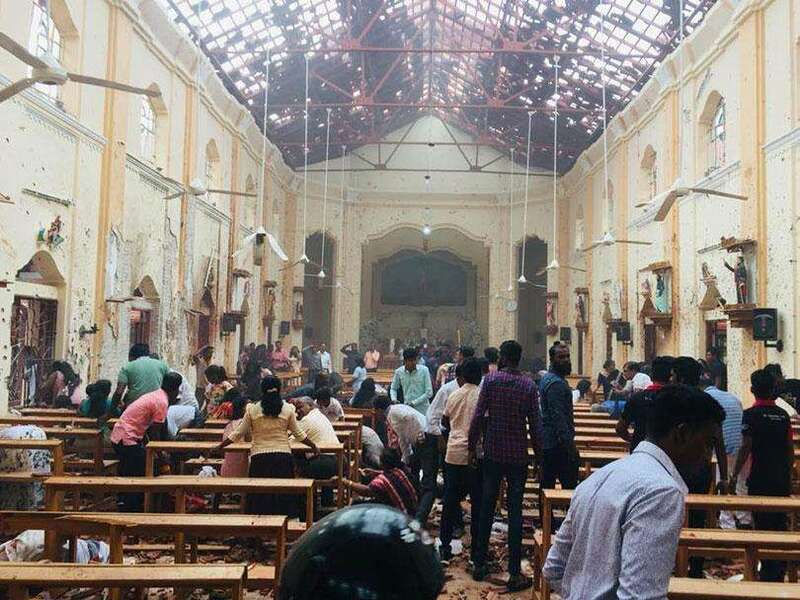 During the recent spate of attacks against Muslim places of worship, Hakeem has been attempting to play the role of mediator between the government and the Muslim community. It is a tightrope walk because he has to appease his community while being part and parcel of the government. Hakeem and the Sri Lanka Muslim Congress are also known to favour the full implementation of the recommendations of the Lessons Learnt and Reconciliation Commission (LLRC) while some sections of the government believe that the LLRC has exceeded its mandate in some of its recommendations. Even after last week’s outburst, Hakeem was measured in his response. He admitted that he had a “frank exchange of views” with the President but said no more. It was an indication of his political maturity-and his instincts for survival. President Rajapaksa is likely to let off Hakeem with a tongue lashing. When his government is being accused of being hostile towards minorities, he would not want to lose the main representative of the Muslim community in his Cabinet-and thereby risk losing the support of Muslim countries. Hakeem wears many hats at present: minister, intermediary and representative of the Muslim community in the government. He will find it difficult to abdicate his responsibilities in any of these roles but at the same time it takes great political finesse to fulfil all these obligations. 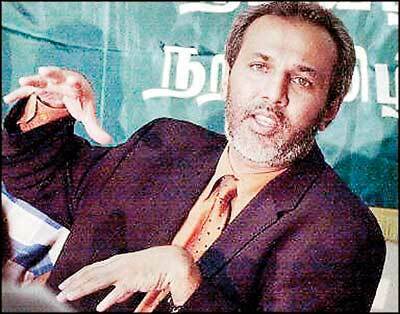 Rauff Hakeem has graduated to the top of the class of the Sri Lanka Muslim Congress, a school of politics where all is fair and survival is the name of the game. With such a track record, the odds are that Hakeem will, once again, live to tell the tale.